Zhejiang Sifang Group Corp. was established by Chinese Government in 1961, as one of the main bases specializing in manufacturing agricultural machines in china, including walking tractors (power tillers), single cylinder diesel engines and combine harvesters. With 60 years of development, now SIFANG merges scientific technique research, industry and trade into an integral whole and involves in business areas of agricultural machinery manufacturing, foreign investment, international trade and real estate development. It becomes a large state-owned complex enterprise in China. The Corporation got ISO9000 Quality Control System Certification since 1998 and becomes the biggest power tiller exporter in China in the past twenty years. SIFANG brand power tillers won the title of Farmers’ most favorite brand of power tillers on the 50th celebration of China Walking Tractor Industry. 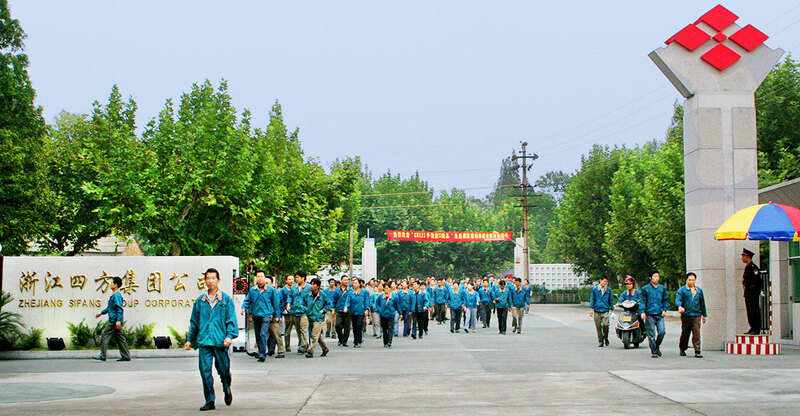 SIFANG also won many certificates in the highest reputation, such as Exemption from Export Commodity Inspection, China Top Brand Product, Product Exemption from Quality Surveillance Inspection and the most competitive Product in Market. The Corporation production capacity now reaches 120,000 sets of power tiller series, 300,000 sets of single cylinder diesel engines and 10,000 sets of plant protecting machines and harvesters. Now SIFANG sets its developing strategy as ‘Paddy Filed Planting and Cultivation Experts’, devoting itself to develop the whole series of agricultural machinery in paddy field.